You never disappoint me. You said you would be with me and of course, you were. 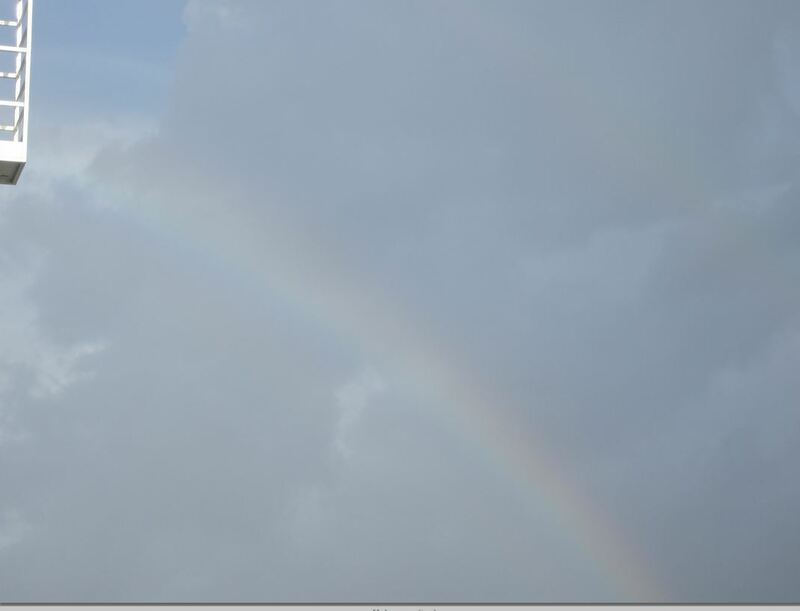 After two days at sea, as we travelled South in the Caribbean Sea, there was the rainbow I hoping to see someday. 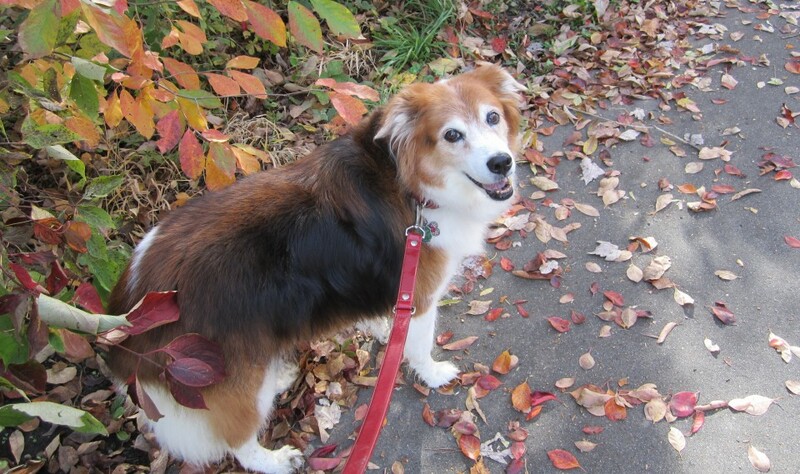 It took only 44 days to appear after you crossed over that Bridge that, I am sure, leads to many rainbows which light the sky beautifully for all the wonderful furry children that people like me, your mommy, miss so dearly. As I sat on our balcony I thought of you many times. I thought how much you would love to go on a big ship and see lots of people and be near water and beaches, pools and sun. This trip was not that sunny really, we actually had a lot of cloud cover, but it was still warm and partly sunny. Aside from seeing the 8th wonder of the world, the rainbow was the very best thing I could have seen because once again, I knew you truly were there with us. As sure as I know my own name, you are with me every step of the way and for those that do not believe in a another place, I feel sorry. It’s like you said, we can’t be together physically, but we can be spiritually and you and I have always had a mental interaction that I do not feel with most people, so now it just presents itself in a stronger way. I wear the Ruby heart necklace and earrings daddy had made in your honor and I love them, as I love you. Aruba was our first stop and it’s where your rainbow appeared. Daddy bought me a beautiful ring made of Hawaiian Topaz there. It’s gorgeous like you. I wore it out of the store, so I never looked inside the little bag until we got back on the ship. Of course, you sent yet another sign that you were with me. The little ring box was red. How that made me smile. Saw several doggies on the trip in various counties, but they all looked like they had a hard life and I felt sorry for them. I take so much solace in the fact that I was able to give you everything you needed or wanted. Safari too. I cannot tell you how much he missed us – like never before. He was just squealing with delight upon our return. He slept in bed with us last night all cuddled up and he was so happy to have company again. That was his first time being alone without us and without you and I knew it was going to be difficult but he did okay. I had two different friends watch him so he would get extra attention. He misses you so much like I do. What can I tell you my Sweet Girl? You are missed because you are so loved. We see things that remind us of you always and I know it will always be that way because you are special. I put up the Christmas tree and tonight we lit the Chanukkah candles. It’s that spiritual time of the year, but I do not need a holiday to bring on that feeling because you brought it into our world from the day we met, June 20, 2008 at 6:30pm. – exactly 3 years and six months ago today, when life would change for the better because of you Sweet Bailey. I cannot wait to hear of your holiday plans in Hyfryd. Write me tomorrow. I know you want to!